Steroids mimic the effects of hormones produced by the adrenal glands. Some common examples are dexamethasone, hydrocortisone and prednisone, among others, which are used for anti-inflammatory effect. These are commonly prescribed for arthritis, asthma and other allergic and inflammatory conditions. These can also prevent organ rejection on patients who have undergone organ transplant. What are the side effects associated with long-term steroid use?? R – Risk for Cardiac Diseases. Cushing’s Syndrome. This is caused by excessive cortisol-like medications like Prednisone. This is characterized by round face, high blood pressure, abdominal obesity with thin legs and arms, stretchmarks, acne and fragile skin (Wikipedia). Osteoporosis. Always watch out for signs of osteoporosis. 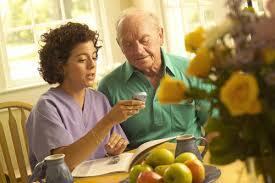 Provide patient teachings on prevention of further bone loss. Retention of Water and Sodium. Take the weight of the patient daily to determine the amount of excess fluid in the body. Patient teachings should include modifications on the diet i.e. low sodium. Teratogenic Effects. Corticosteroids are contraindicated in pregnancy. Educate patients that their medication may cause birth defects, and therefore, birth control is encouraged. Insulin Resistance and Diabetes Mellitus. Corticosteroids promote production of glucose, so if the patient does not have an existing diagnosis for DM, perform routine blood glucose checking to monitor signs of irregular glucose levels. Cataracts and Glaucoma. Steroids can cause cataracts or glaucoma or worsen these conditions if already present. Opportunistic Infections. Be sure to include infection control best practices in the patient teaching plan. Always monitor for signs of infections like fever and cough. Suppressed Immune System. Encourage yearly flu and pneumonia vaccinations. Provide a list of foods that are good in boosting immune system like citrus fruits, red bell peppers, brocolli, garlic, ginger, spinach, etc (HealthLine). Elevated Blood Pressure. Hypertension is caused by fluid and sodium retention. In some instances, diuretics are prescribed. Risk for Cardiac Diseases. The risk for the development of atherosclerosis is significant on patients who have been taking steroid for more than a year and in high doses. Encourage the patient to modify lifestyle including diet and exercise to prevent heart diseases. Obesity. Steroids slow down metabolism and increase appetite and lead to fat deposits on the abdomen. Teach patient how to count and limit daily caloric intake, and address self-esteem issues. Inhibits Growth Hormones. Use of inhaled corticosteroids among children with asthma may result in decreased height. Depression. Patients may experience neuropsychiatric effects like euphoria, anxiety or depression. Encourage patient to verbalize thoughts and establish support system. Stress. Ability to respond to stress can be altered by steroids because adrenal glands may not react normally as they should in times of stress. Help the patient plan on effective coping strategies. Fukaya, M; Sato, K; Sato, M; Kimata, H; Fujisawa, S; Dozono, H; Yoshizawa, J; Minaguchi, S (2014). "Topical steroid addiction in atopic dermatitis". Drug, healthcare and patient safety. 6: 131–8.